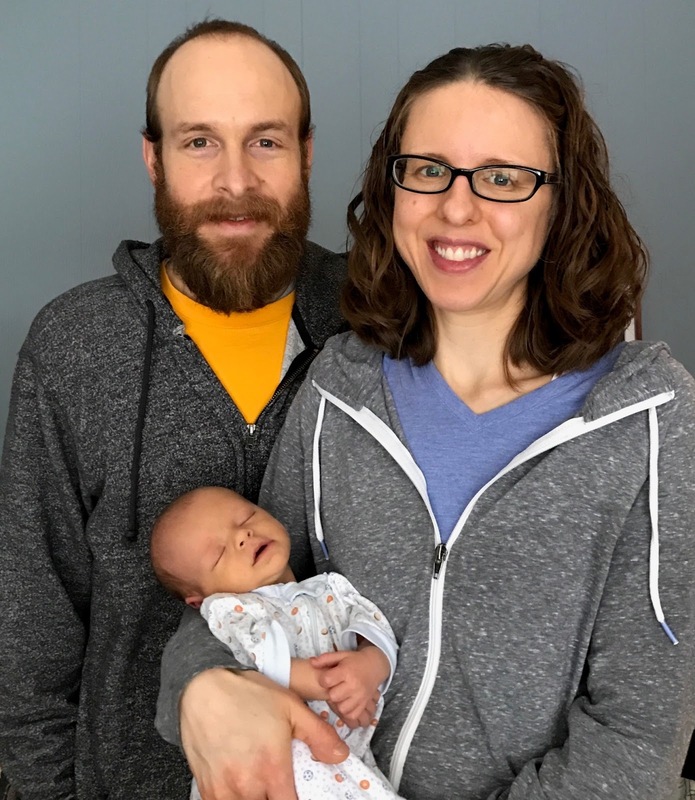 SIOUX CENTER – Kate Drzycimski and her husband, Mark, have vast experience when it comes to births and babies. But their ninth baby was different even for them. baby of the year for Promise's midwifery team. 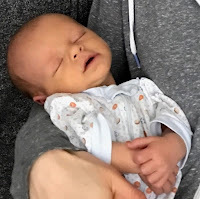 Unlike their previous eight children, Noah David was born in their home in Sioux Falls, SD, with the assistance of certified nurse midwife Pam Hulstein and nurse Kari Ney of Promise Community Health Center of Sioux Center, IA. Kate said it was a wonderful experience. Baby Noah also was first baby of 2017 for Promise’s midwifery team. He was born at 5:17 a.m. Friday, Jan. 6, weighing 7 pounds, 13, ounces, and measuring 22 inches. Kate had worked previously with midwives from a larger facility, but the experience had become “less personal” and “more conventional and institutional” like typical obstetrics as the practice grew. So she sought midwifery care at Promise for her ninth child. In the past, she also had considered the idea of having a home birth. This time, she went ahead because her family is part of a Christian cost-sharing program that not only would cover the cost of the home birth but encouraged it over a hospital birth. “That little extra encouragement was all I needed,” she said. brothers and sisters to love on him. She was “very grateful” for their experience with the Promise midwifery team. When Kate held her newborn baby in her arms for the first time, she said it was a little different than with her other births. 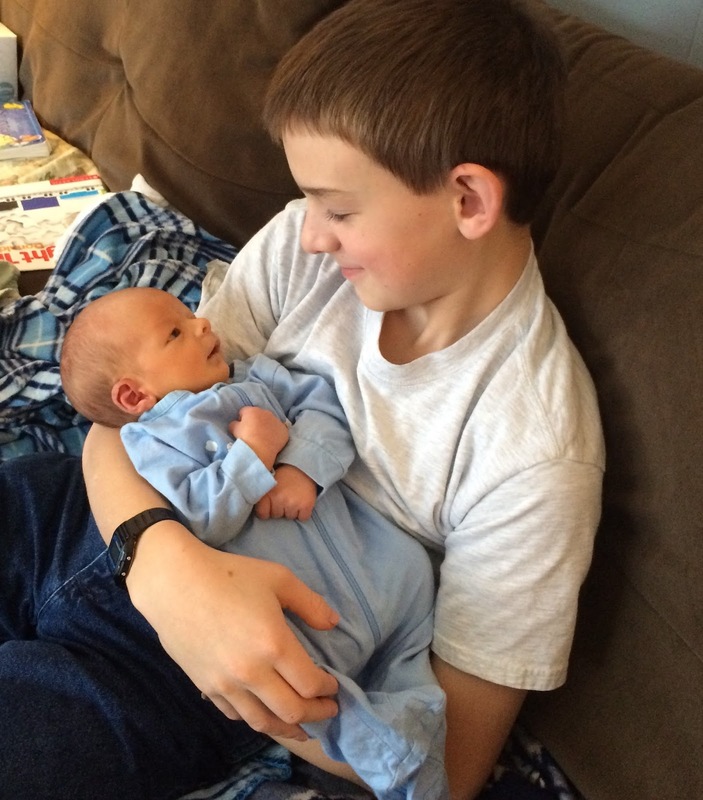 Now, baby Noah has eight older brothers and sisters to love on him: Will, 17; Liam, 15; Abram, 13; Josiah, 11; Addie, 9; Elias, 8; James, 6; and Helen, 3. 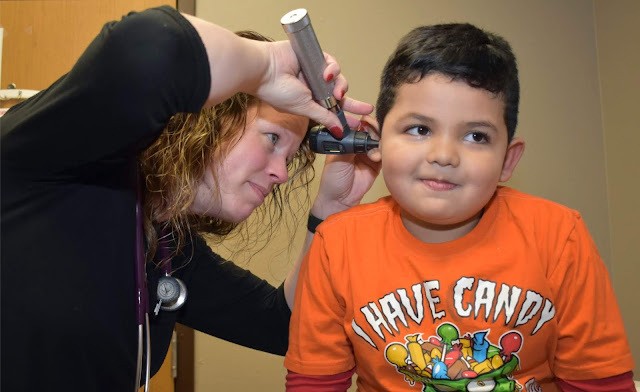 Promise Community Health Center of Sioux Center is the only Federally Qualified Health Center serving the far northwest corner of Iowa. Promise provides medical, prenatal, dental, vision and behavioral health services. To learn more, visit www.promisechc.org and watch this video. To read more Promise news, visit promisechcnews.blogspot.com. To see more Promise Baby announcements and advice, visit the midwifery team's Wonderfully Made blog, promisechcmidwives.blogspot.com. Kate and Mark Drzycimski were having a hard time coming up with a name for a boy after having six other “amazing sons" in their family. So this time, Mark took on the task of coming up with a boy’s name and Kate a girl’s name. As he pondered the name, he got a lot of input from their other children. “So, who is this child?” I asked my husband minutes after birth.